This season, New Balance updated the men’s 5” Impact Short with a new-and-improved fit characterized by more modern, streamlined design details. 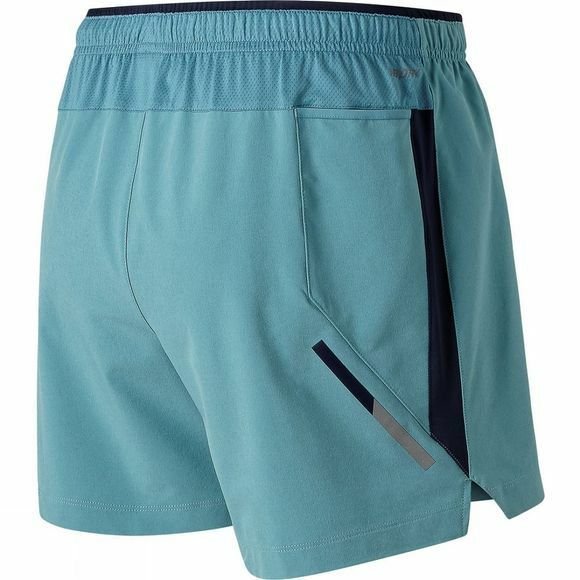 Cut from moisture-wicking woven fabric in an athletic fit, it features breathable mesh side panels and a comfort breif for the support you need to sustain many miles. Plus, a zip pocket and drop-in waist pocket offer savvy storage, while streamlined reflective details and fluorescent color accents help others see where you’re going at all hours.